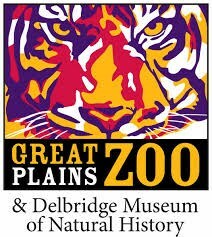 Use these 2 adult and 2 children one-day passes for a day at the Great Plains Zoo & Delbridge Museum of Natural History in Sioux Falls, SD! This item is available in the silent auction. You can bid on this item at the Scholarship Auction on Saturday, FEB. 9, 2019. The silent auction and buy-it-now starts at 9 a.m. and the first section closes at 9:45. The audible auction starts at 11 a.m.